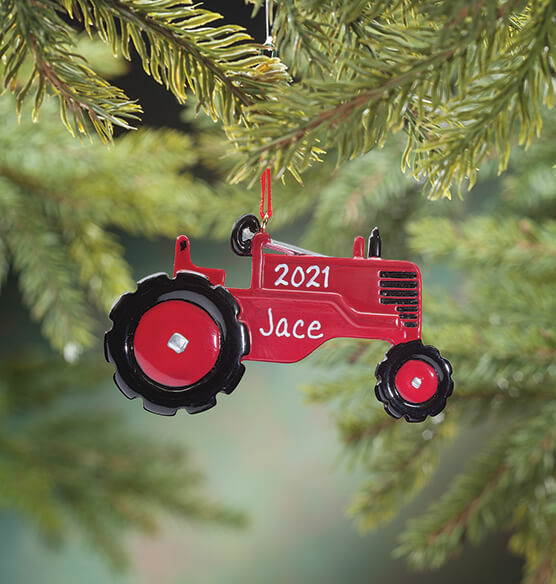 Hauling in holiday fun for your little driver, this personalized Red Tractor ornament arrives customized to please! Shining in brilliant style with adorable details, the red tractor Christmas decoration becomes a priceless treasure when custom detailed with name and year. Specify name; limit 1 line, 7 letters/spaces. Specify year; limit 4 characters. Resin. Personalized Christmas ornament measures 4 1/8" long x 2 3/8" wide.